Say goodbye to the quirky King mascot, the subservient chicken, and any other flash-in-the-pan character conjured up by Burger King’s former advertising firm. Earlier this month, the fast food giant bid a permanent adieu to its days of wacky characters and advertising gimmicks aimed at young men with an appetite for fast food. Under new management, Burger King also bid farewell to the $1 value menu and will introduce new items that appeal to a broader audience… well, a broader audience once again, that is. Burger King’s no stranger to image make-overs. In fact, that’s part of its organizational culture—a culture based on reinvention. After researching the Burger King Corporation this spring to write an 18-page analysis on its ability to implement and sustain system-wide change initiatives, I came to the conclusion that the only thing consistent about the Burger King Corporation is its inconsistency—a trait that dates back to the company’s humble beginnings in Miami, Florida, 56 years ago. It’s a trait the company never really wanted but inadvertently developed through a persistent urge to grow and beat out its rivals in the fast-food industry. At Burger King, reinvention has become a survival function of sorts stemming from years of battling fierce competition quarter-to-quarter, year-to-year. During the past four decades, Burger King’s exceedingly high turnover rate has seen countless corporate executives and CEOs breeze through the company quicker than ordering at a Burger King drive-thru. The company has also cut ties with many high-powered advertising firms within short spans of time, generating a series of ad campaigns that have been purposely powered off like a franchise at closing time. Based on my research, I found that the Burger King Corporation is caught in a vicious cycle of change that not only fails to solidify the company’s image, but also fails to yield sustainable, long-term growth. Miami-based entrepreneurs James McLamore and David Edgerton stepped into a rapidly growing market when they founded and launched the Burger King Corporation in 1954. That same year, numerous drive-ins offering cheap burgers and meals had starting cropping up around the U.S., including one in southern California named McDonald’s. Unlike their competitors, McLamore and Edgerton entered this new market with a target demographic in mind: Baby Boom-era families drawn to reasonably-priced, quickly-served, flame-broiled burgers. Rather than stay in their cars, Burger King patrons could also enjoy their meals in the restaurant’s dining area—a feature lacking at most drive-ins. The company expanded its menu in 1957 and introduced the iconic Whopper, which cost 38 cents back then. In 1959, Burger King sold franchising rights throughout the U.S. in an effort to expand. Unlike other fast food chains that were also selling franchising rights, Burger King didn’t hold its investors to specific standards concerning the Burger King image and menu. Investors could do as they pleased, which made each franchise unique, but also made the company image disjointed. After McLamore and Edgerton sold the company to prepared-foods giant Pillsbury in 1967, the burger chain boasted 274 stores and was worth $18 million, according to FundingUniverse.com. The lack of uniformity among the franchisees, however, rubbed Pillsbury the wrong way. During the first half of the 1970s, Pillsbury worked hard to solidify uniformity among Burger King franchisees—an initiative that proved to be an uphill battle laced with lawsuits and proposed partnerships from powerful investors. In 1977, the company made Donald Smith, a former McDonald’s executive, Burger King’s new CEO. Smith managed to reign in the franchises by creating 10 regional offices to oversee their operation and make sure they were following procedures. As the chain continued to grow, it began adopting new ways to speed up service, like adding multiple lines inside the restaurant and the drive-thru window. Smith broadened the menu to include specialty sandwiches and also introduced a French fry technique that McDonald’s used to better compete in the fast food market, which now included newcomer Wendy’s. Back in the corporate office, Smith overhauled Burger King’s organizational structure by replacing eight of the company’s 10 managers with McDonald’s executives, according to FundingUniverse.com. To correct the inconsistent image problem, Smith ordered annual 2-day checks of each franchise and frequent, unscheduled visits by corporate representatives. Under Smith’s guidance, Burger King had become the second-largest fast food chain in the U.S. His departure in 1980 marked a series of management changes that once again gave rise to inconsistency. Four executives held the CEO spot at Burger King in the seven years after Smith’s departure. Despite this, the company continued to expand at home and abroad while broadening its menu. Burger King also developed several ad campaigns during the 1980s that always seemed to create an operational glitch. The 1980 Have it your way campaign, for example, slowed down service as more and more customers asked for customized meals. In 1982, the chain took a hard-sell approach and started a burger war when its Aren’t you hungry for Burger King now? campaign directly alleged that both McDonald’s and Wendy’s fried their burgers. Burger King phased out the controversial commercials to settle lawsuits filed against the company by both McDonald’s and Wendy’s. By the time the commercials were phased out though, Burger King had already gained a 19 percent spike in sales. It had also placed the company at the top spot in the fast-food industry by 1984, leaving rival McDonald’s at a close second. Three subsequent ad campaigns between 1985 and 1988 flopped, costing the company millions of dollars. In 1989, U.K.-based food and retail giant Grand Metropolitan bought Pillsbury for $55.7 billion—a buy that included the Burger King chain. “In Burger King, Grand [Metropolitan] got a company with some problems but whose 5,500 restaurants in all 50 states and 30 foreign countries gave it a strong presence,” according to FundingUniverse.com. With newly installed CEO Barry Gibbons at the helm, Burger King cut more than 500 jobs—primarily field staff positions—and divested poor-performing sites in an effort to boost profitability. Gibbons continued the chain’s expansion efforts, particularly abroad, added new items to the menu, created the Burger King Kids’ Club, and struck up an alliance with The Walt Disney Company—an alliance that ended in 1992 when Disney teamed up with McDonald’s. While profits increased to an estimated $250 million per year during that time period, Gibbons failed to address the image problem that always plagued Burger King. Three Burger King ad campaigns launched by the reputable ad firm D’Arcy Masius Benton & Bowles—Sometimes you’ve gotta break the rules (1989-91), Your way right away (1991), and BK Tee Vee (1992-93)—all failed to make a lasting impression on consumers. In 1993, James Adamson replaced Gibbons as CEO. Adamson frequently called on the company’s co-founder McLamore for advice and focused on improving the quality and value of existing products. This included the successful ad campaign Get your burger’s worth created by the ad firm Ammirati Puris Lintas, which emphasized the back-to basics approach of good value. Forty items were removed from the menu as part of Adamson’s initiative and morale among the franchisees improved too. In 1995, Adamson resigned as CEO and was replaced by Robert C. Lowes, who had been chief officer for Grand Metropolitan Foods Europe. Lowes’ lofty goals and targets were never met and, in 1997, Lowes was replaced as CEO by Dennis Malamatinas, another executive from Grand Metropolitan. That same year, Grand Metropolitan merged with Guinness, creating a new beverage and spirits company called Diageo. Despite abrupt changes in ownership and management, Burger King remained on Diageo’s portfolio and launched an aggressive advertising and restructuring campaign, which included a new logo, new colors, new packaging, drive-thru upgrades, and a new system of food preparation. By 1998, Burger King’s sales were picking up again. Plagued by lawsuits and franchise woes in 1999, Burger King’s management experienced another shake-up in 2000, replacing Malamatinas with an interim CEO until the position was filled by John Dasburg, former CEO of Northwest Airlines, in 2001. The following year, Texas Pacific Group, Bain Capital and Goldman Sachs Capital Partners bought Burger King for $1.5 billion. Dasburg left in 2003 and was replaced by Brad Blum, whose tenure—as the ninth Burger King CEO in the span of 15 years—was also short-lived. Blum’s departure in 2004 was “seen by analysts as a blow to a chain that has just recently begun to regain its footing in the competitive U.S. fast-food market,” according to a 2004 Reuters article. Blum was replaced as CEO by Greg Brenneman. With 7,700 franchises in the U.S., Burger King relocated its global headquarters to a more centric area in Miami around this time. Despite the shuffling of management, the company launched a series of new advertising campaigns that, like those of the past, failed to define the company. In 2004, the company hired the ad firm Crispin Porter + Bogusky to give its image a face-lift. Rather than cater to a general demographic, Crispin Porter + Bogusky honed in on one—men ages 18 to 25. The ad agency started its “marketing blitzkrieg” that year “when it created a website featuring a guy in a chicken suit who responded to typed commands. Within a week of its launch, www.subservientchicken.com… had 52 million visits that lasted, on average, eight minutes,” according to a 2006 article in Forbes magazine. From 2004 to 2006, Burger King shelled out more than $730 million on its U.S. advertising campaign targeting this specific demographic through quirky, edgy, original—albeit adolescent—gimmicks, such as the Subservient Chicken, Whopper Freakout, and the Whopper Sacrifice campaigns. Burger King’s then marketing chief, Russell Klein, worked closely with Crispin Porter + Bogusky to develop Burger King’s new image through its campaigns. Klein had been the sixth marketing chief in charge of global marketing strategy and innovation that the company had hired in a span of eight years—a sign that, despite a successful ad campaign, instability was still palpable at the company. Sales revenue continued to dwindle and decline during the height of the U.S. recession, from 2007 to 2009. In December of 2009, Klein left Burger King. An interim marketing chief was at the helm until the position was filled five months later by Natalia Franco—former vice president of global marketing and innovation at The Coca-Cola Company. Franco reported directly to Burger King CEO John W. Chidsey, who had replaced Brenneman as CEO in 2006. In September 2010, 3G Capital Management bought Burger King from Texas Pacific Group, Bain Capital and Goldman Sachs Capital Partners for $4 billion. A New York investment firm financially backed by wealthy Brazilian capitalists, 3G Capital made Burger King a private company again and, like all of Burger King’s past owners, launched an internal restructuring effort to change the fast-food giant’s management. 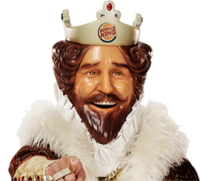 Chidsey, who had once been hailed as the turn-around king, stepped down as Burger King’s CEO and was replaced by Bernardo Hees. Hees, a 40-year-old Brazilian-born railway executive with no past experience in the restaurant industry, was now at the helm of the 11,500-strong, global fast-food chain. Chidsey remained on the Burger King board. This past February, less than a year after her hire, Franco was removed to make room for a new marketing chief named Jo Bundell, a former executive with McDonald’s. In addition to the hiring of new executives, 3G Capital also shuffled several Burger King executives around—the former vice president of global operations, for example, assumed the role of executive vice president in charge of brand and operations while the role of executive vice president of North American operations was expanded to include responsibility over all North American marketing. In March of this year, Burger King ended its relationship with Crispin Porter + Bogusky. Three months later, Burger King hired McGarryBowen, a New York ad firm known for launching high-profile campaigns, including Verizon’s Droid, to handle its advertising. Using the change theories offered by Bob Doppelt in his 2010 book, Leading Change Toward Sustainability, I noticed that Burger King has always operated under the assumption that its most common blunder involves a “siloed” approach to both environmental and socioeconomic issues. That’s not necessarily the case. It never really has been. Instead, I identified Burger King’s troubles stemming from a lack of clear vision and understanding of sustainability, confusion over cause and effect, a lack of adequate market information, poor mechanisms for learning, and a failure to institutionalize sustainability—all blunders that, according to Doppelt, typically hamper sustainable growth at organizations. Because Burger King harps on competitive, short-term survival, the future is unclear and unsustainable. Burger King’s future is reliant on the success of its next ad campaign—a work that is constantly in progress. The company also glosses over the real troubles affecting its sales earnings and profits because it fails to see the systemic relationships that link cause and effect. With change as a constant, Burger King has failed to set the foundation of sustainable growth over the years. With years of ambiguity defining its image and high turnover rates clouding strategy, Burger King has developed an organizational culture that shows little to no value for its employees or executives, who are usually let go or willingly leave within two to four years of joining the company. The constant changing of leadership and its support system makes Burger King quite volatile in both its message and in its operational approach, which focuses more on generating sales and profits in the short-term as opposed to ensuring sustainable growth. With the blessing of Burger King management, ad firm McGarryBowen sent the Burger King mascot packing this month. And it’s unknown whether he’ll return. As of this writing, Burger King is still in the midst of transitioning away from Crispin Porter + Bogusky to McGarryBowen and is looking to develop ad campaigns that reach out to a broader demographic. It’s hard to guess what those ads may look like. Burger King’s long, fluid history makes it difficult to guess where its new direction might lead. One thing’s for sure though: Burger King’s new changes will involve some form of reinvention.